We recently finished a six month tour through Italy. This was our third trip to this beautiful country. 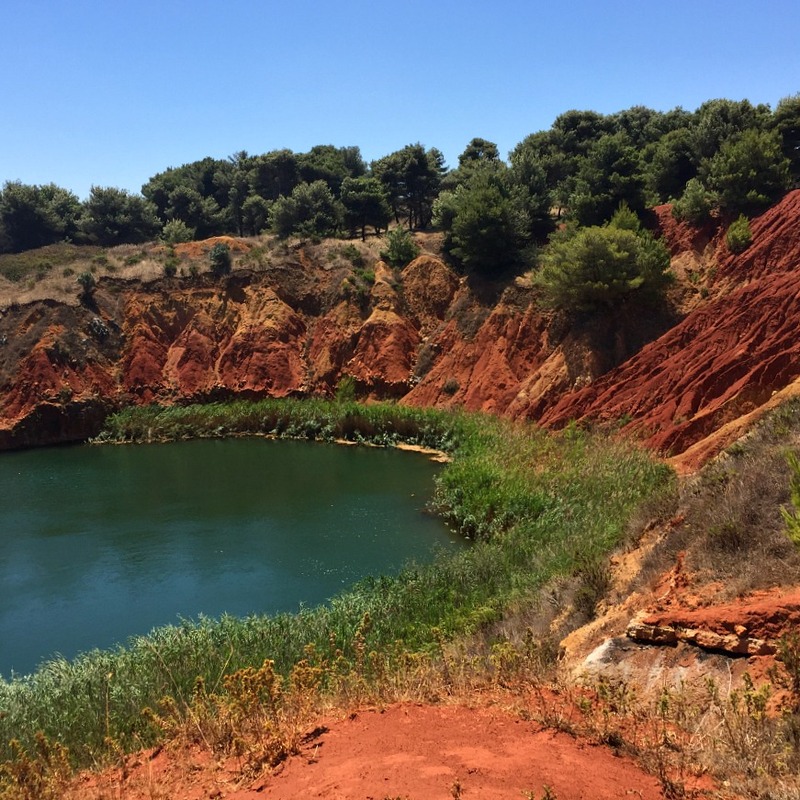 On this visit we decided to travel to some lesser known areas, and one of our favorites was Puglia (or Apulia). It was there that we met our friend Andrea De Carlo. He is a fellow foodie as well as a sommelier. 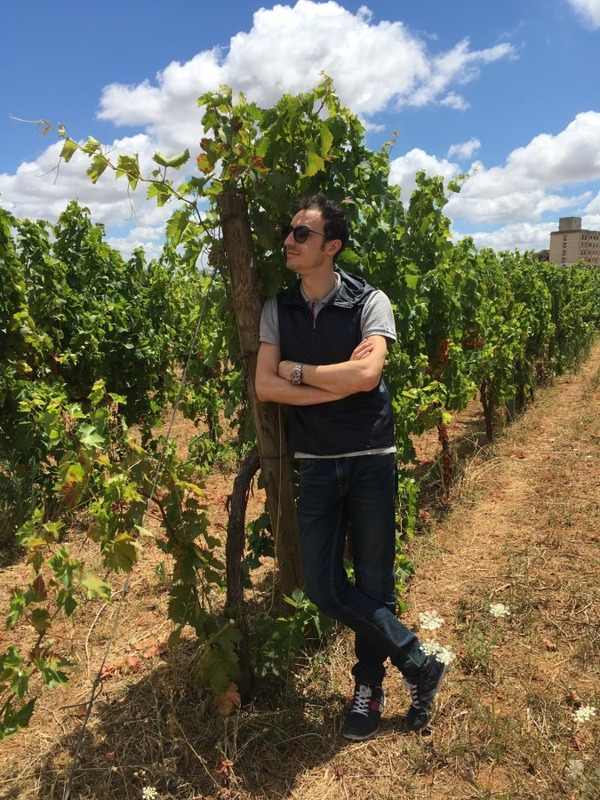 Andrea is passionate about the wines of his native Puglia and agreed to write a post giving his recommendations for fellow wine lovers visiting the area. What he delivered was far beyond what we expected and what can only be described as the “Ultimate Puglia Italy Wine Guide.” Some of the poetry of his writing was a little lost in my translation and edits from his native Italian to English. 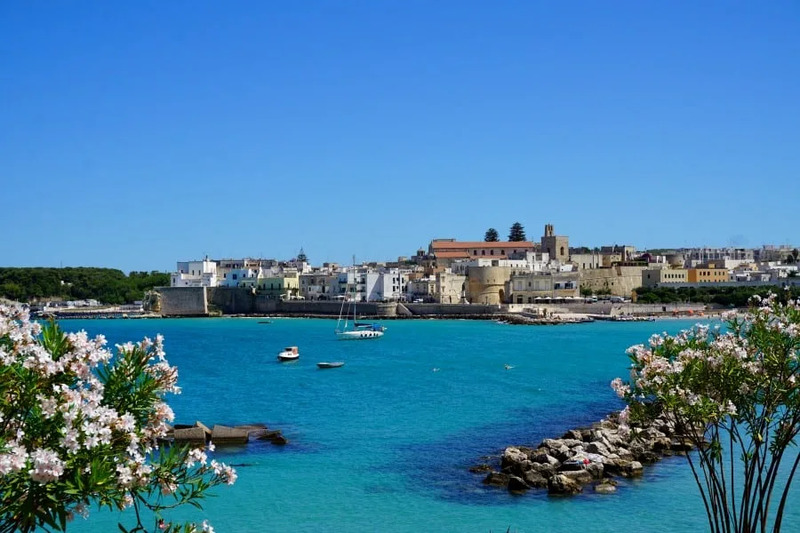 Along with our apologies to him for that, we turn you over to Andrea’s capable hands for a tour though the wines of Puglia. 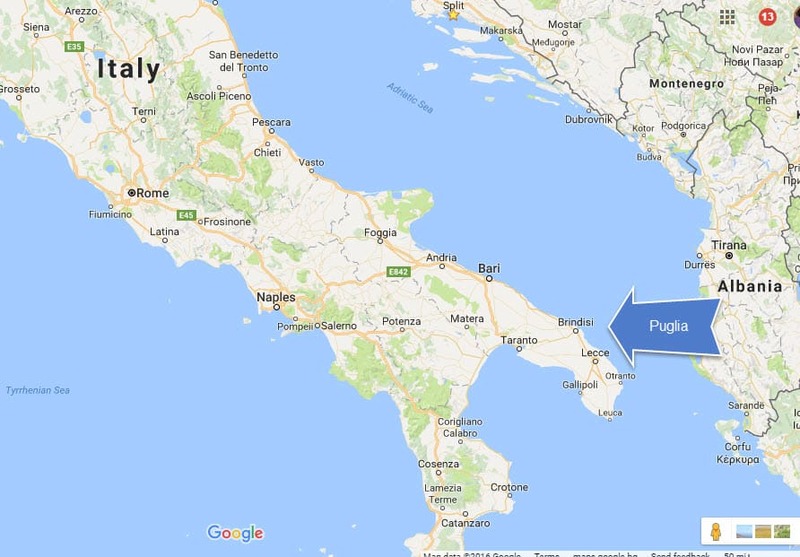 Where in the World is Puglia? It is in the midst of this heaven, which is still relatively unknown to the world of tourism, where the two wonders of Italian cuisine are elevated to their highest level. Of course, I am speaking of wine and olive oil. Wine has been made in this land for thousands of years. 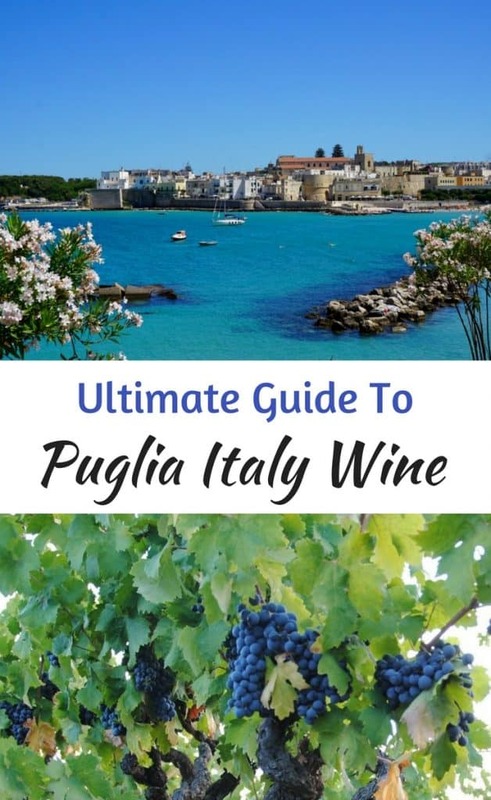 The grapes of Puglia produce wines of such quality in color and body that they were until the end of the 1800’s used only to give substance to wines produced in both Northern Italy and France. Fertile soil of Puglia Italy gives the wine from grapes grown here a depth in color, body and flavor. In the late 19th Century most of the grape vines in Europe were destroyed by a devastating phylloxera infestation. Grafts from North American grape vines were eventually affixed to the roots of their European cousins. These grafted roots emit a sticky substance that prevents the microscopic insects from feeding. Vineyards experienced a resurrection starting in Salento, in Southern Puglia. The resulting wines of Apulia were among the first to be bottled and commercialized in Italy and in the rest of the world. The first example, in 1943, was the “Five Roses” wine from Cantine Leone de Castris. It was the absolutely the first rosé bottled in Italy, and is highly recommended. New Apulian varietals began to emerge like Negroamaro and Primitivo. Both are of a quality that rivals their better known counterparts in Tuscany and Northern Italy. Along with these two vines, we find other important native varieties, from Salento, including Susumaniello, Uva Di Troia and Malvasia Nera grapes. They are used to produce red and rosé wines, and Verdeca, Bianco D’Alessano, Malvasia Bianca and Bombino to obtain white wines. These vines, along with other like black Bombino, Minutolo and Aleatico, are all absolutely Pugliesi. 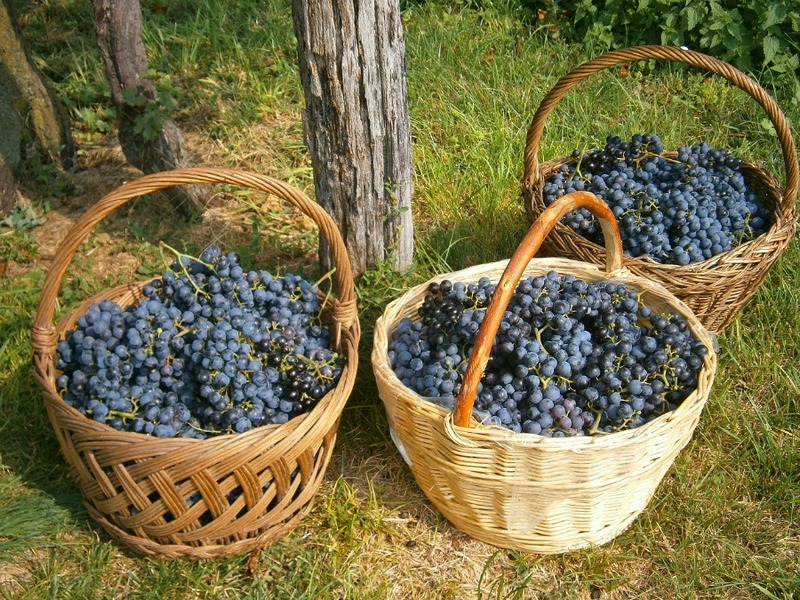 The grapes are “impossible” to grow in other areas of Italy, and often even in different areas of the Puglia region, because of poor results. After this introduction, and recalling that in Puglia the food is just as important as the wine, I will suggest some wine labels that should definitely be experienced during a trip around my beautiful region! As in a real wine tasting, we start “tasting” and speaking about sparkling wines. 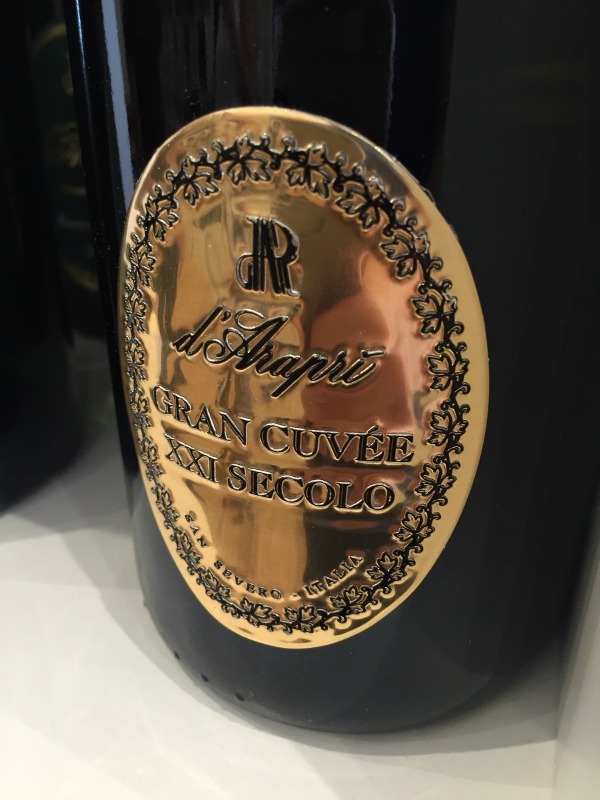 It is said that in Puglia good sparkling wines are difficult to obtain. Fortunately, we have the d’Araprí¬ cellar. This well-appreciated company was founded in 1979 with headquarters in San Severo in the province of Foggia. Three friends / founders together exclusively produce Metodo Classico sparkling wines using the “Champegnoise method”. This process includes secondary bottle fermentation like the method that is used to make champagne. Grapes used in the process include the varietals Montepulciano, Pinot Noir, but especially the grape variety Bombino Bianco, with dazzling results. To start I suggest definitely the Pas Dosí¨, with its fine and elegant bubbles, perfect but not trivial for a good appetizer. Then, try Riserva Nobile, a round, soft wine that is aged 48 months in the bottle. It pairs perfectly with fish dishes and strong cheeses. 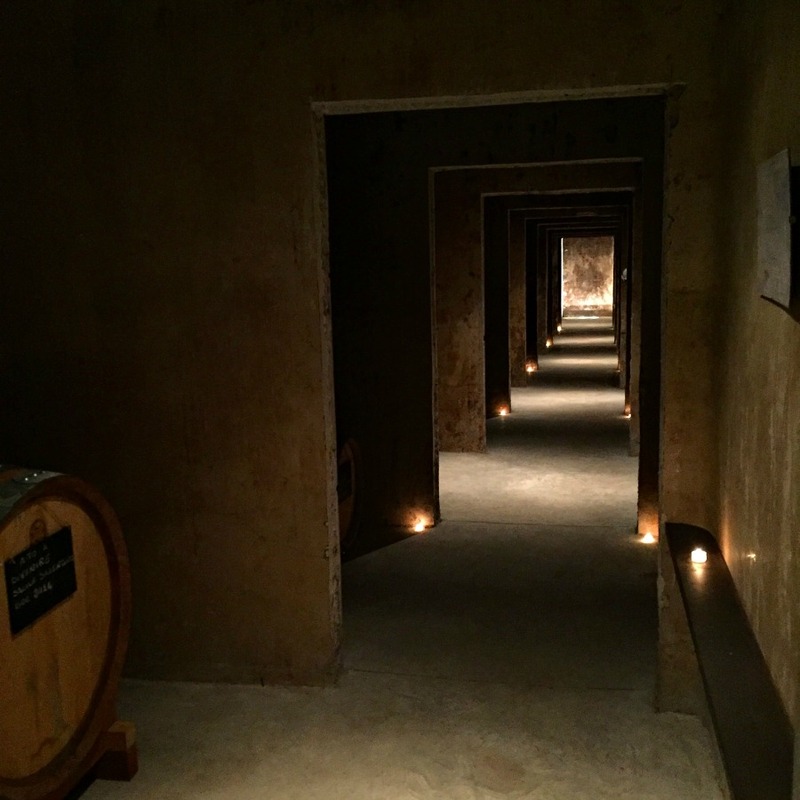 Do not forget to visit the winery, d’Arapri, and its cave! Let’s talk about the “white.” It’s the same premise as with the sparkling wines. Although white wines are less popular in Puglia, it is possible to find a good one if you know the right labels. Agricole Vallone, a historic company within the Province of Brindisi, is one such producer. The company was founded in 1934 by the family for which it is named. They pride themselves on preserving the original style of traditional wines like negramaro, but always manage to be modern! The wine Tenute Serranova, obtained from 100% Fiano grapes, is named after the area where it grows, and is the heart of the Vallone company. The wine they produce thrills us with its complexity, persistence and great structure. It is a perfect accompaniment to white meat and fish dishes. I want to suggest another wine. This wine’s characteristics are quite different that those previously introduced, but are equally interesting. It is produced by a very young company, Polvanera Cellars, founded in 2003. The company is based in Gioia del Colle, in the province of Bari and managed by the Cassano Family. The property is a highly suitable growing area for one of the three “styles” of the primitivo, which we will discuss later. It is also mother to Minutolo wine, which is organic, as are all Polvanera wines. It is a white wine that is remembered for its unmistakable aroma, both nose and palate, to be matched absolutely with raw seafood. “Cerasa” – from Negroamaro grapes. The name in dialect means “cherry”, to emphasize the beautiful color. Drinking Cerasa wine reminds me of a saying we have in Italy, “a cherry leads to another.” Meaning that eating one cherry immediately leads to wanting another. 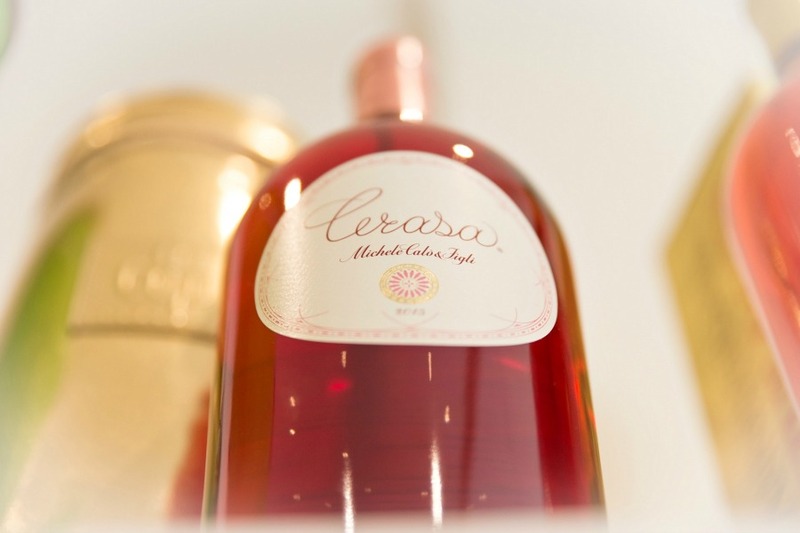 Despite it being an important wine, Cerasa is a simple and elegant, always recognizable and adaptable, because it can be combined with various traditional Mediterranean dishes. This is the wine that has earned the place of honor in the selection. This wine does not fear the years, and is the spearhead of the company “Michele Calí² & Figli“, based in Tuglie, in the province of Lecce. After tasting it you can not live without it. Be sure to visit the wine cellar, very traditional, which still houses the original “fermentini” made with cement. It is also where Giovanni Calí² (the owner) will fascinate you while spending a few hours in his company and that of his wines! The second rosé wine which I recommend helps us to learn about a particular grape variety, Susumaniello. It is absolutely Pugliese, and with an important history, which invites us to reflect. Remember what was said at the beginning of the article, about the wine of Puglia from the early 1900’s? The name of the grape gives us some clues: SUSU (above) -MANIELLO (donkey), which therefore means, loaded like a donkey! So known because it has the characteristic of being a very productive vine, producing several bunches of grapes each. In those years, this variety was grown all over the Salento region. It was useful to satisfy the many requests for bulk wine. However, after 10 years of producing grapes, yields naturally begin to slow, and the vines are now just producing on average of less than one kilogram per plant. It is for this reason that the Susumaniello almost disappeared from Salento vineyards. That is until a few years ago when the company Tenute Rubino, with the intuition of the owner, Luigi Rubino, began offering a red Susumaniello from 75-year-old plants. He painstakingly recovered the vines by treating them with love, but of this I’m going to speak about later. Going back to the rosé, this suggestion concerns a label of the same company. Torre Testa Rosé, obtained by the precious Susumaniello vine, produces just 5,000 bottles annually. From its proximity to the sea and the sandy terrain, the grapes grown in this region produce a rosé that gives us absolute flavor and freshness. The flavor is completed with notes of strawberry, pomegranate and raspberry. Pair it with seafood and you will remember it forever! Now it’s time to get serious, talking about red wines, the “Super-Pugliesi.” I call them “super-Apulian” because they are the ultimate expression of red wines, appreciated throughout Italy and the world. First let’s start with a few words about Negroamaro and Primitivo. As mentioned, they are the wines of rebirth, and are opposed to each other. Once in Puglia you will want to be sure to understand the differences. Negroamaro is particularly suited to be produced from grapes grown in calcareous soils such as that in Apulia. The grapes mature in late September and yield a wine with an amazing ruby purple color initially. The nose is always rich, with hints of red fruit and herbs. Is possible also, to find negramaro wine, that comes from grapes produced by a particular local kind of vines, grown like a small tree (called “alberelli” in Italian). The wine, produced from grapes grown on these 80-year-old vines, is one in which you can fall in love! The taste is warm, dry, fresh, with a characteristic bitter finish, but velvety. Believe me, it leaves nothing to envy in the famous Northern red wine. – Primitivo di Manduria DOC, province of Taranto. The area has varied topographies which produce wines with different characteristics. Wine from grapes grown in flat areas, for example, have particularly fine, gentle tannins and notes of red fruits. – Primitivo of Gioia del Colle DOC, produced in the southern part of the Province of Bari. The territory goes from 100 to 500 meters above sea level. Wines from grapes grown here present with strong mineral characteristics, a long life, alcohol wealth and power with a nice firm tannins. After this brief introduction, I will suggest now some wines and companies to be preferred. For pure Negroamaro wine, I suggest, two labels. The first is “Spano” by Michele Calí², an authentic, traditional Negramaro, which comes from sapling grapes “alberello.” It is not produced every year, but only in the important vintages. No compromise, but a lot of quality in a perfect accompaniment to all of Puglia’s important traditional dishes. 7,000 bottles are produced in this vineyard annually. 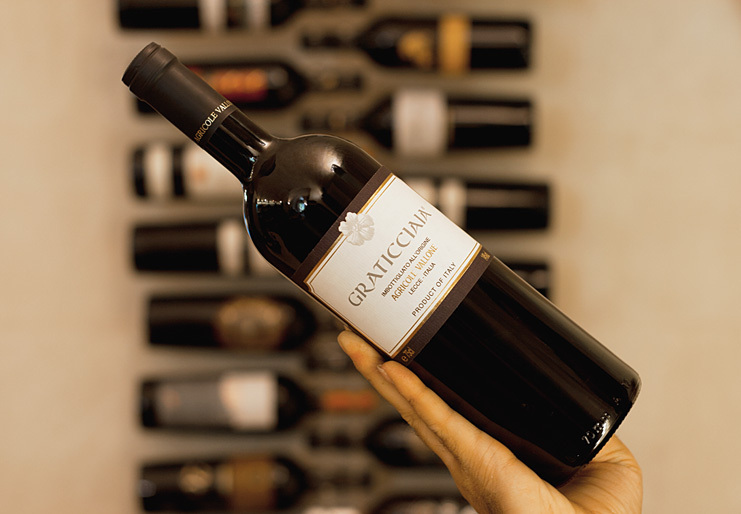 “Graticciaia” by Agricole Vallone: the grapes are dried on racks and are processed in autumn and left to ferment in wooden barrels for a year. The result is a full-bodied wine that goes well with important dishes such as red meats, truffle dishes and even chocolate. Negroamaro blends well with a wine produced from a grape such as Malvasia Nera, becoming a wine known as Salice Salentino, an affordable drinkable Apulian wine. I suggest trying “Moros” by Cantina Moros, with just 6,000 bottles produced annually. This wine fascinated me even before I first tasted it. It was born from a single vineyard of one just hectare, and then aged in their amazing cellar. The wine scored 90 points in Wine Spectator in 2016. Visit the winery and don’t miss the annual traditional harvest in the fall. Now we turn to Primitivo. From the territories of Gioia del Colle we choose “17” by Cantine Polvanera. It comes from 60-year-old vines that are very deeply rooted in rich limestone-clay soils. It is recognized for its mineral notes, the purple color, and the endlessness on both the nose and the palate. Unmissable. From the territories of Manduria, I recommend a very interesting label. The wine cellar of Morella, a Biodynamic winery, run with love and passion by Gaetano Morella and his wife and winemaker, Lisa. The wine, “Old Vines” are produced in small quantities of 3,000 bottles, and come from vines over 80 years old. It gives us the most noble characteristic hints of great red wines, such as black cherry, plum liquor, tobacco and hints of caramel. The wine is powerful and opulent, with a wraparound taste of sweet fruit. Unforgettable! 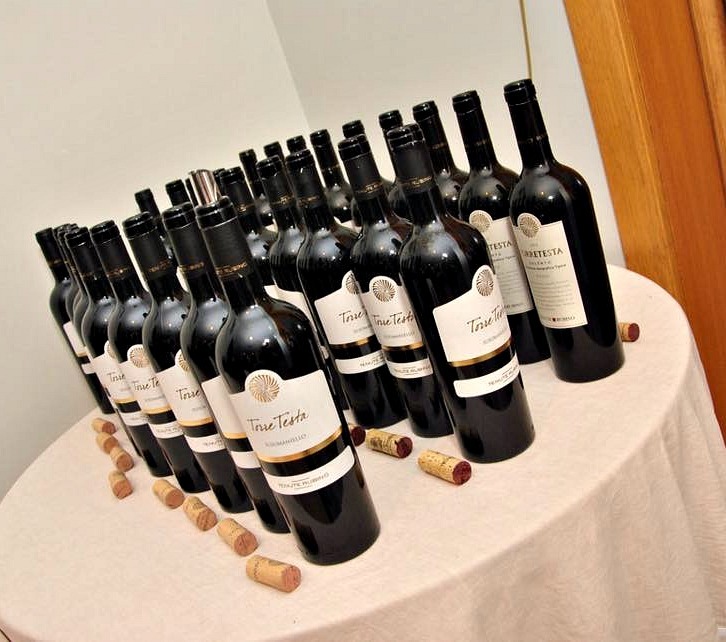 Finally, I suggest “Torre Testa” by Tenute Rubino, produced in small quantities of 12,000 bottles annually. It is the first red Susumaniello officially awarded, and that is appreciated for good acid presence and very elegant tannins, therefore suitable to be kept in the cellar, to be appreciated after maturing for a few years. It is perfectly paired with a very interesting local aged cheese, Canestrato Pugliese DOP (Protected Designation of Origin). 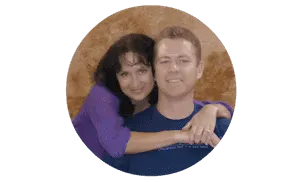 Thank you, Jen and Sean, for giving me the opportunity to tell you about the excellence of my land, and I invite all readers to email me with any questions or suggestion about my region and wines. I will be glad to meet you when you come to Puglia and introduce you to all of the exceptional food, wine, and experiences it has to offer. Bio: Andrea De Carlo, 29, was born in Lecce (Puglia, Italy). He has gained experiences in several hotels 5 Star Hotels as a Food & Beverage Manager. Andrea is a professional sommelier and enthusiast and connoisseur of the wines of his region. He is in love with the world of hospitality and has a dream of opening a small resort with his wife in their beloved city, Lecce. Like this article? Pin it for later! Some of the links on this article are affiliate links, which means that if you click on them and make a purchase, we receive a small referral fee. If you find the links useful and do make a purchase, thanks so much for your support! Thanks for the fabulous recommendations. I focused on the primitivo while I was in the region but there’s clearly plenty of cause to return to Apulia. So glad you found the article helpful! And I agree – there are many reasons to visit Puglia, including sampling some amazing wines. Excellent article – I learnt a lot. 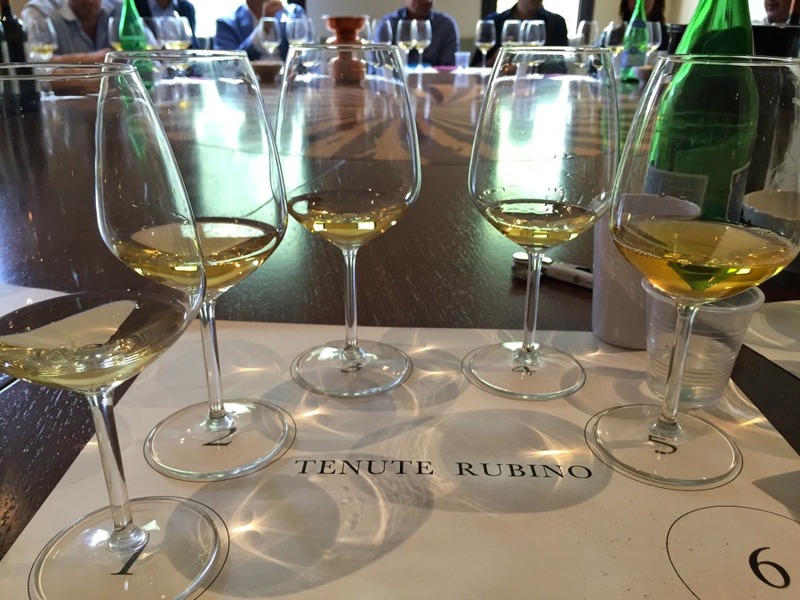 I entirely agree with you about the wines from Tenute Rubino. We visited them earlier this year and were blown away by both the wines and the passion of the staff there. I am now a convert to all things Pugliese. Thank you Mr. Paul, I’m really happy for your comment, and also because you know Rubino Winery. Cheers!